In a letter to the Afghan President Hamid Karzai, President Obama apologized for American troops having burned a number of Korans at Bagram Air Field, the main American military base in Afghanistan, earlier this week. Tommy Vietor, the spokesman for the National Security Council, confirmed Thursday that Mr. Obama followed up a Feb. 20 phone call with Karzai as a means "to continue their discussion on a range of issues related to our long-term partnership." "In the letter, delivered by Ambassador Crocker this afternoon in Kabul, the President also expressed our regret and apologies over the incident in which religious materials were unintentionally mishandled at Bagram Airbase," Vietor continued. According to the Associated Press, which first reported the story, Karzai's office released a statement quoting Mr. Obama's letter. In the letter, as quoted, Mr. Obama gave his "sincere apologies" and expressed "deep regret for the reported incident." "The error was inadvertent; I assure you that we will take the appropriate steps to avoid any recurrence, to include holding accountable those responsible," said Mr. Obama, according to the statement. 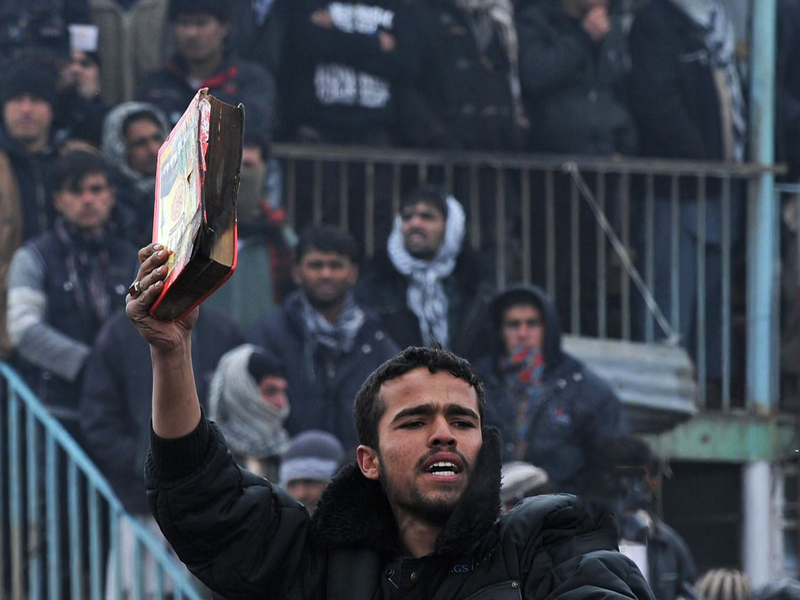 Violence erupted in Afghanistan on Tuesday after Americans were seen dumping books into a garbage pit where waste is burned. At least seven people have been killed as thousands of Afghans have taken to the street in protest, some of them shouting "Death to America."